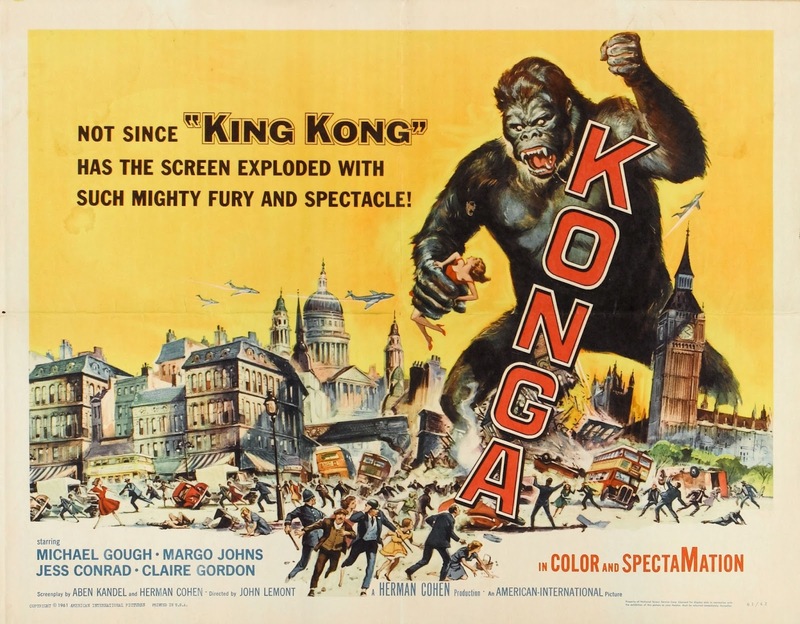 "There's a monstrous gorilla that's continually growing to outlandish proportions loose in the city!" Konga is an alternative interpretation of the King Kong story that has recently been released on DVD recently in a brand new transfer in its cinema aspect ratio (1.66.1). 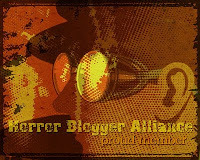 This is British B-movie madness at its fineness! 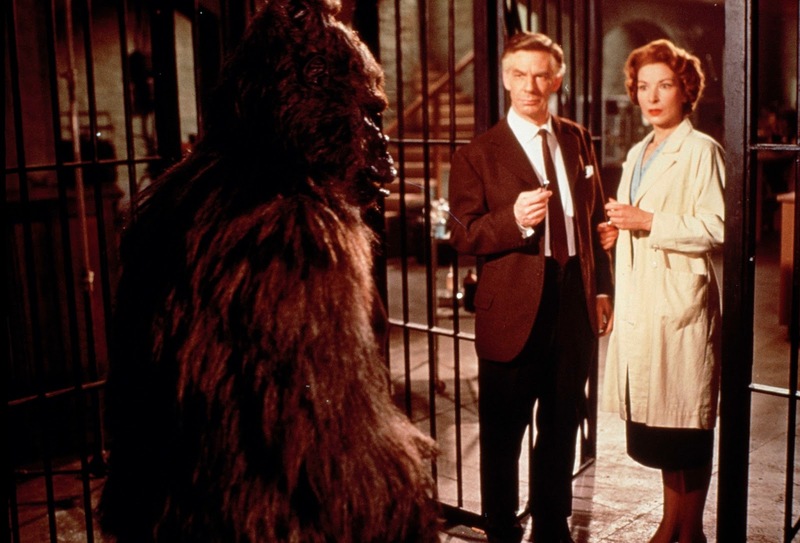 Michael Gough is the glue that holds this film together, he reminded me very much of Vincent Price in his glory days, full of over the top acting and some amazing reaction shots. Gough plays the part of Decker with obvious glee, it looks like he had a blast playing the mad scientist, he steals the show from everyone with his evil genius ways. While inspired by King Kong the whole giant ape section only actually amounts to 10 minutes of the films 90 minute running time. A lot of Konga is Deckers petty squabbles and lustful designs being resolved via the killer gorilla. Decker is a very flawed and narrow sighted villain whose downfall is very much his own creation, this makes him so much fun, you are never meant to emphasise with him, he is cartoon like in his badness. Early on in the film for instance casually shooting dead his assistants cat for interfering with his experiment. It really is a film of its time with the female characters being shown as useless airheads subservient to the men, the tribes people Decker lived among for his lost year are in one quite cringe inducing scene condescendingly talked about while stock footage of real tribes people are shown. Ticks off the sexist and racist boxes, less enlightened times! Love the jazz music finger clicking parts well. The acting is truly something special here, highlights being the crowds reaction shots towards the end of the film. 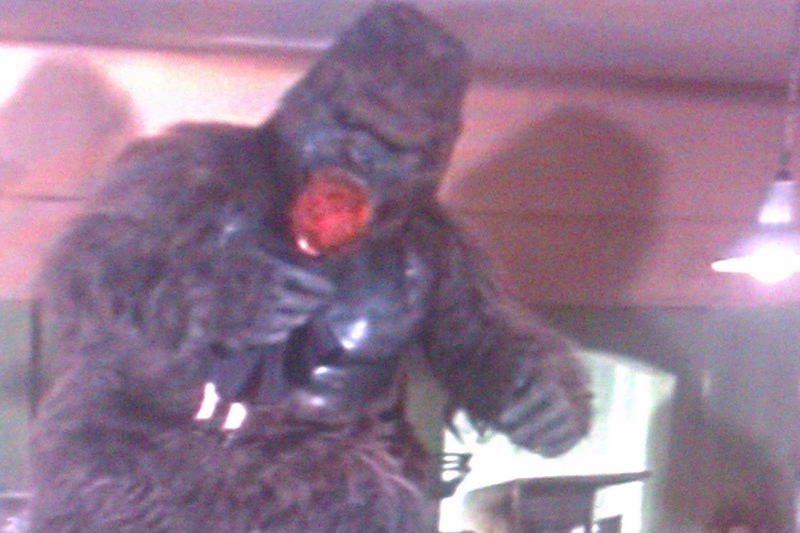 Konga to be blunt is just a man in an ape suit, this adds to the charm of the terrible laugh out loud special effects. He lumbers around like someone trying to do an impression of an ape, doesn't look remotely realistic, his kills amount to him putting his arms around peoples necks and shaking them, hilarious! One special effect was so special that I am going to declare it the very worst effect I have ever seen in a film. First shot is of a woman, next shot of a doll, I had to rewind and re-watch that sequence a few times, and even took a picture on my phone for inclusion here, amazing stuff! I had a lot of fun watching this film, it is rarely boring, in fact very entertaining thanks to Goughs wonderful delivery. Yet another film that is so bad it's good, and one I would recommend if you fancy something to laugh at. It was released on the 13th May for £9.99 and includes an introduction by Michael Gough.